Anne O’Brien brings us a tale of ambition, treachery and betrayal in the reign of King Henry IV. Elizabeth Mortimer was one of the powerful medieval Mortimer family that dominated the Welsh Marches where I now live. It is difficult to ignore them round here if you have an interest in medieval history. I am surrounded by Mortimer castles, such as the impressive bulk of Ludlow (above), the much ruined Wigmore to the north, or Usk to the south; churches which the Mortimers enhanced with their tombs and stained glass, as at Much Marcle; the battlefields, notably Mortimer’s Cross, where they fought to enforce their power. Since coming to live in this part of the world twenty years ago my Mortimer interest has bloomed. 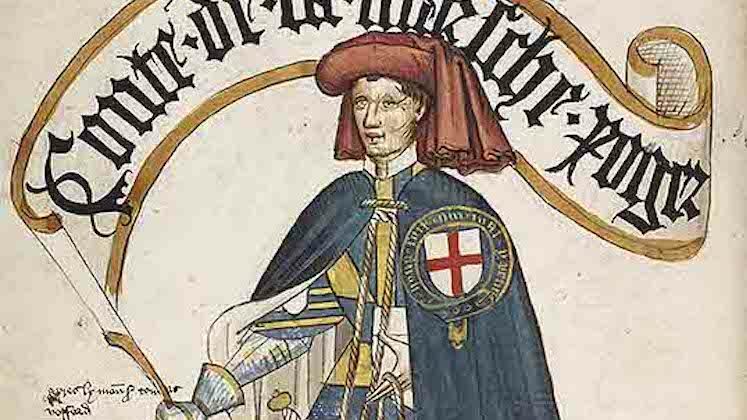 The real Mortimer power was established in the early years of the 14th century by Roger Mortimer, first Earl of March, although his execution in 1330 for his role in the deposition of King Edward II could easily have destroyed it. A lenient Edward III restored the property and wealth to Roger’s widow, her grandson Roger became the second Earl of March, and future Mortimers made their loyalties to the Plantagenets clear. Thus the Mortimers received royal acclaim and so were not eclipsed. 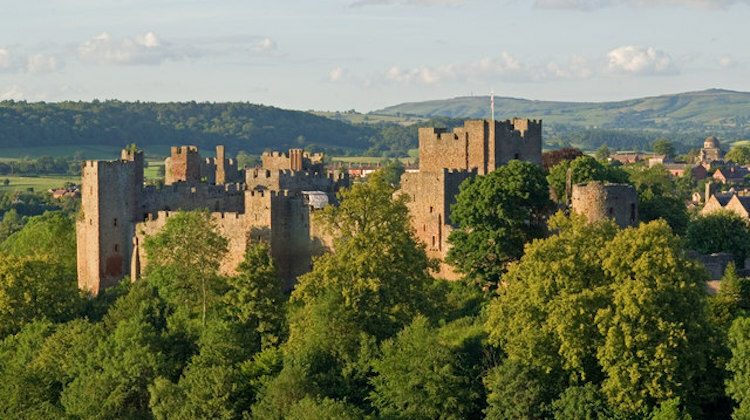 Their power was centred at Wigmore Castle on its rocky outcrop, the family buried at Wigmore Priory, until they moved their main base to Ludlow which Earl Roger had made into luxurious living accommodation as well as a formidable fortress. So who was Elizabeth Mortimer? What do we know about her? It has to be said, very little is on record in factual terms. History has reduced her to no more than a footnote in the history of her Mortimer menfolk. How often is this the case with medieval women, even from the most prominent of families? Elizabeth was born in 1371, probably at the Mortimer castle of Usk, daughter of Edmund Mortimer, 3rd Earl of March, and Philippa of Clarence, grand-daughter of King Edward III. She married Sir Henry Percy (Hotspur), heir to the Earl of Northumberland, when she was eight years old and Hotspur fifteen – a dynastic alliance between two great houses. They had two children together: Henry and Elizabeth. Caught up in the conflicts of Henry IV’s turbulent reign, Hotspur was killed at the Battle of Shrewsbury in 1403, fighting against King Henry, leaving Elizabeth a widow. Elizabeth’s son Henry, now heir to the earldom of Northumberland, was sent into exile to the royal court of Scotland to keep him out of King Henry’s hands. 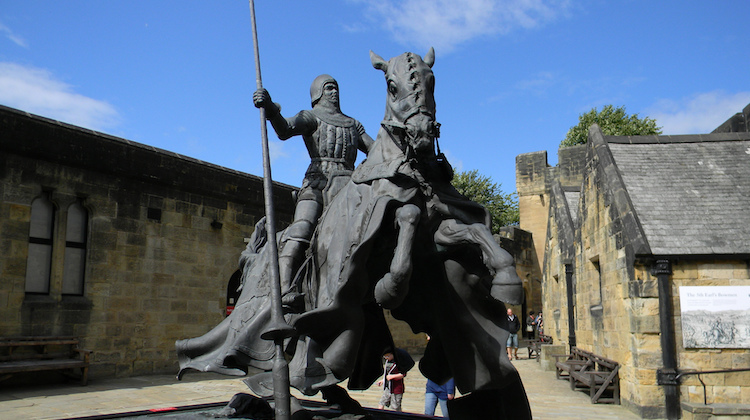 Hotspur’s body, quarters of which were exhibited around England while his head was placed on Micklegate Bar in York, was formally delivered to Elizabeth by King Henry for burial. In 1406 Elizabeth was remarried to Thomas, Baron de Camoys, with whom she had a son, Roger. She pre-deceased Thomas de Camoys and died in 1417 at the age of forty six. 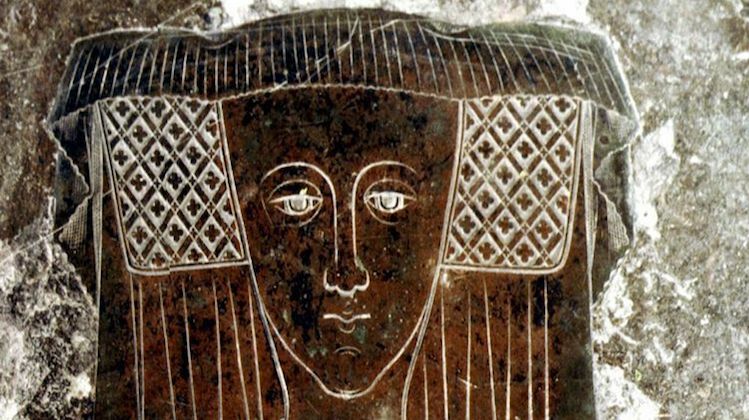 She was buried in the Church of St George at Trotton in Sussex, with a fine memorial brass showing them both, hand in hand. It is a relationship full of conflict of personality but also of wit, deep affection and respect, a relationship to explore. As for Hotspur, he was such a mercurial figure, brave and courageous, winning glory on the battlefield, but he was also flawed, bringing his own downfall. I could not resist writing about them, and for me Elizabeth became the perfect protagonist for Queen of the North because of her family connections and her place in the events of the reign of Henry IV. During Elizabeth’s lifetime England underwent a period of great upheaval. King Richard II was deposed in 1399 by his cousin Henry Bolingbroke, Duke of Lancaster, who took the throne as King Henry IV, the first of the Lancastrian Kings. Although Richard was soon conveniently dead, it did not prove to be a peaceful reign for Henry. Supporters of Richard, claiming that he was still alive, led plots and insurrection in England, while in Wales the mighty Owain Glyn Dwr was bidding to become Prince of Wales. It was a time of bloody civil war that must have torn families apart. Great-grand-daughter of King Edward III, Elizabeth inherited royal Plantagenet blood through her mother Philippa, daughter of Lionel Duke of Clarence, King Edward III’s second surviving son. Because of this royal connection, the Mortimer family had a viable claim to the English throne even though it came through a female line which had been disinherited by Edward III in his final days. This placed Elizabeth in the very centre of the struggle for power after the death of Richard II, the Mortimers claiming pre-eminence over King Henry IV, descended from the third son, John of Gaunt. The young boy Edmund Mortimer, Earl of March, with the strongest claim was Elizabeth’s nephew. King Henry, well aware of the boy’s dangerous bloodline, kept him and his younger brother in captivity in Windsor Castle. For Elizabeth, if Richard II was no longer king, then the true heir to the throne must be her nephew. To complicate matters, Elizabeth’s family became embroiled in the struggle for power of Owain Glyn Dwr who claimed the title and authority of Prince of Wales. Elizabeth’s younger brother Sir Edmund Mortimer, head of the family in the Welsh March during his nephew’s minority, was defeated at the battle of Bryn Glas and taken prisoner by Glyn Dwr’s forces. Kept a prisoner in Glyn Dwr’s household at Sycharth when King Henry refused to ransom him, Sir Edmund married one of Glyn Dwr’s daughters, changed sides and became one of the rebels. Where did the the Percys stand in this turbulence? Regarding themselves as Kings in the North, ruling the northern March between England and Scotland, snatching territory from the Scots whenever possible, initially they strongly supported King Henry. This would put Elizabeth and her husband on opposite sides of the fence, until King and Hotspur came to blows over Henry’s interference in Percy authority in the north and his inability to pay the Percys for their service in providing troops. This resulted in a showdown between Henry and Hotspur of major proportions, after which there was no going back. Hotspur joined forces with Sir Edmund Mortimer and Owain Glyn Dwr. This is the world in which Elizabeth would have lived, and here is the place, in a novel, for some well-founded historical speculation. How difficult was it for Elizabeth, in the midst of such a keen rivalry for power as she and Hotspur were drawn deeper into the maelstrom of high politics and betrayal, to keep a balance between her loyalties to family, husband, and new king? How much influence would she have on Hotspur’s change of allegiance? Was she engaged in the negotiations between her brother, husband, and Owain Glyn Dwr? All came to a tragic denouement at the battle of Shrewsbury where Hotspur and King Henry met in the field. Nor was this the end for Elizabeth. As a Mortimer and a traitor’s widow, it would not be in King Henry’s interests to allow her freedom to instigate further rebellion. Elizabeth was left to pay the price for her treachery, as well as accepting her own part in her husband’s death. So why was I compelled to write about Elizabeth? She was a woman who took on the role of traitor to the crown in support of her Mortimer nephew. She would know at first hand the resulting struggle between family loyalty and a desire to pursue what she saw as the rightful claim to the throne of England, despite all the pain it would bring her. She would also learn the ultimate constraints on her freedom, common to all medieval women, when as a potentially dangerous widow she was married to de Camoys, one of Henry IV’s close friends. What a compelling drama of power and treason, of betrayal and death this promised to be. It can of course be stated by those concerned only with facts that we have no evidence of Elizabeth’s motives or involvement in these events. I am unable to argue against this. How true is this of most medieval women, even those from powerful magnate families? Yet I cannot believe that they are as voiceless or as powerless as they seem. How many alliances and ambitions were hammered out over a platter of roast venison or in a more personal tete-a-tete between husband and wife? What must be omitted in the historical record of non-fiction can be explored in historical fiction, as long as the end result remains true to those facts and the characters are realistically accurate. Is that not the nature of historical fiction, to use the facts that we have of events and character and weave them into a page-turning story? 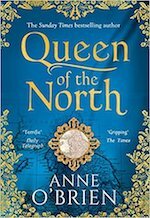 Queen of the North is out now, published by HQ. Anne O’Brien is the bestselling author of 10 historical novels. Find out more at anneobrienbooks.com. Monumental brass of Elizabeth from her tomb at St George’s Church, Trotton, West Sussex.